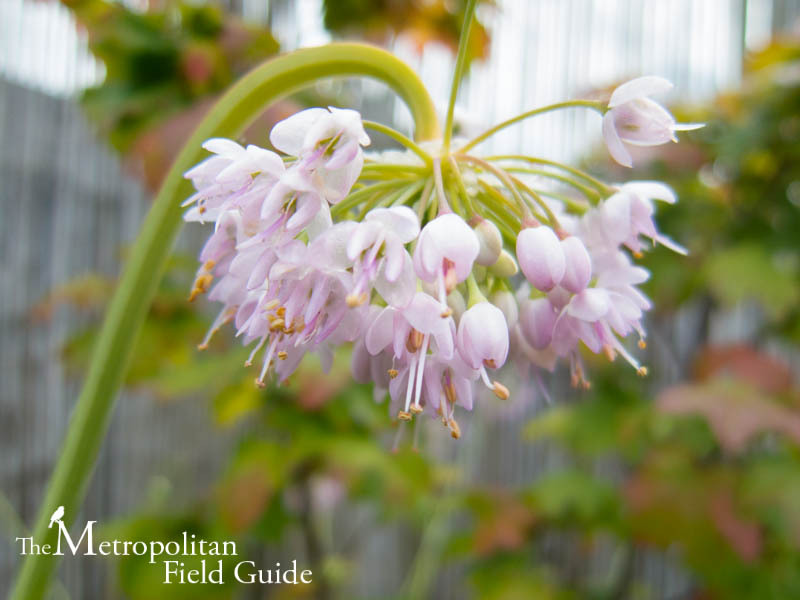 Today's garden is our first U.S. garden and belongs to Kelly Brenner, the fine writing and photographic talent behind The Metropolitan Field Guide. My window box would naturally have to provide plants for some of my favorite wildlife species, pollinators. The brilliant thing about window boxes is that they can be placed essentially everywhere and that's exactly where you find them. I've seen beautiful boxes full of blooms in the heart of old town Tallinn and city centers all over Europe including Prague and Berlin. I've seen them in the iconic alps and in the middle of Seattle. 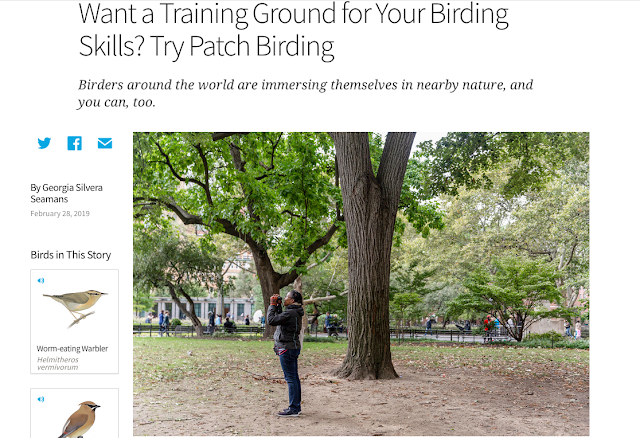 The benefit of being able to place them everywhere is that you can create habitat in any place you are whether it's a country home or a city studio apartment. Even residents with not such much as a fire escape can still provide habitat with a simple box outside the window. It doesn't matter if it's a ground floor or several stories high, the pollinators will find it. When I lived on the sixth floor in the middle of Seattle I had many containers of various plants and I had a constant stream of hoverflies, bumblebees, wasps, hummingbirds and other non-pollinating insects including 7 different lady beetle species in one year. I recently wrote a post about this delicious smelling plant and discovered many things about it that I didn't know. Did you know that it naturally repels insects? The flowers are excellent at attracting three very urban butterflies, the Painted Lady, Woodland Skipper and Tiger Swallowtail. It's a fair opportunity plant and also attracts many species of bees and one bird you're likely to see in the middle of the city, hummingbirds. Lavender is an excellent choice for putting in the window when in the middle of summer with the windows open a gentle breeze brings the delectable scent inside. It also tolerates hot, sunny locations and tight space for roots extraordinarily well making it a perfect choice. Because I love sedums I have to choose one of my favorites, Broad-leaved Stonecrop. 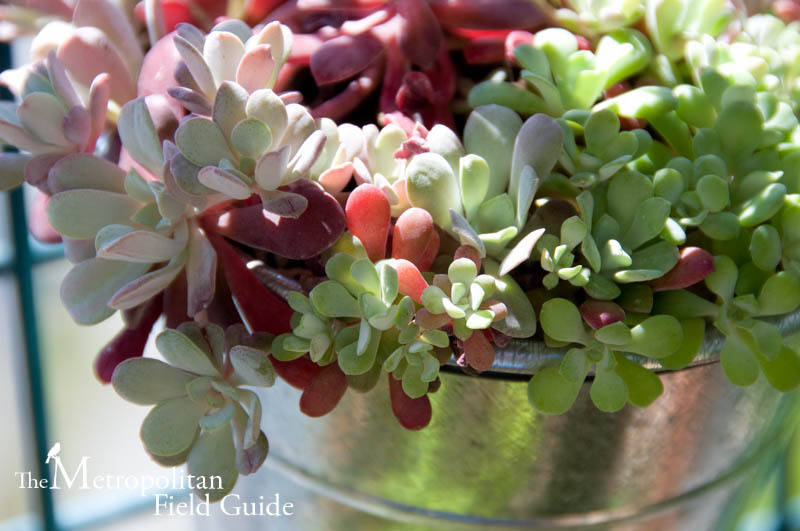 This sun-loving plant has lovely green foliage with red edges. It has a proven success record as a green roof plant which lends itself well for use in window boxes as well. Not to forget about the pollinators, the flowers of this sedum attract a variety of pollinators including bees, butterflies and the lesser knowns, beetles and flies. It is also a host plant for two different elfin butterflies. For the sheer color factor, I have to choose the magnificent orange of the California Poppy, a color which would brighten up any window ledge. The nearly blinding orange flower is drought tolerant and likes the sunshine. However, with a little water the short-lived flowers can be encouraged to stay cheery a little longer. 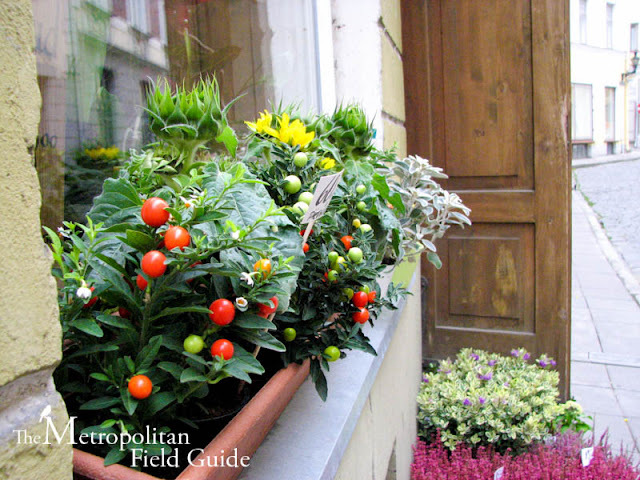 It is another plant which has fared well on green roofs as well, proving it makes a good choice for a window box. 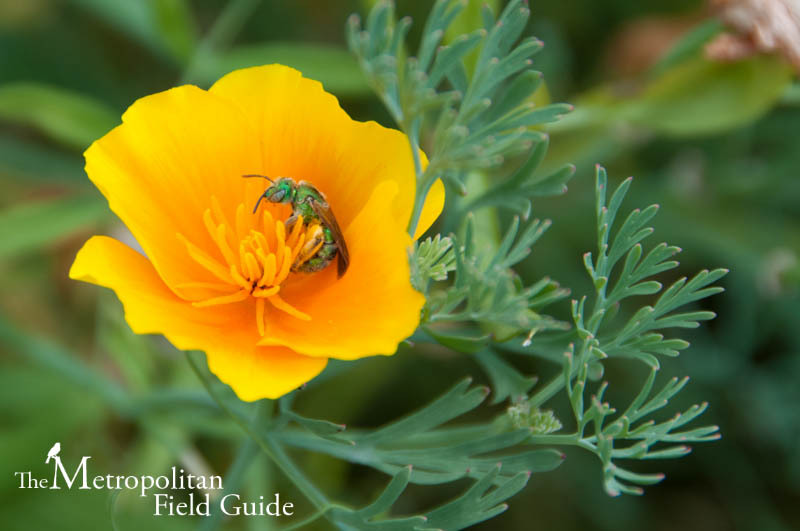 One of the reasons I like the California Poppy is because of its interaction with external forces, the petals close not only each night, but also when the weather turns bad, making it an interesting and interactive plant to watch daily. The flower attracts many species of bees but is mainly pollinated by beetles. One of the first plants I started from seed that successfully grew on my balcony was the Nodding Onion. Perhaps it's this success which makes me so attached to this flower, but I think it's because it's such an interesting looking flower, with long green leaves and a tall green stalk on which the pink, round clusters of flowers hang down from. They grew beautifully on my balcony and continue to grow each season larger and more full. Nodding Onion also likes drier soils and the sun and I've seen it growing well on a green roof here in Seattle. The flowers are pollinated by short-tongue bees and hoverflies visit for the pollen. The plant also attracts butterflies and even hummingbirds. 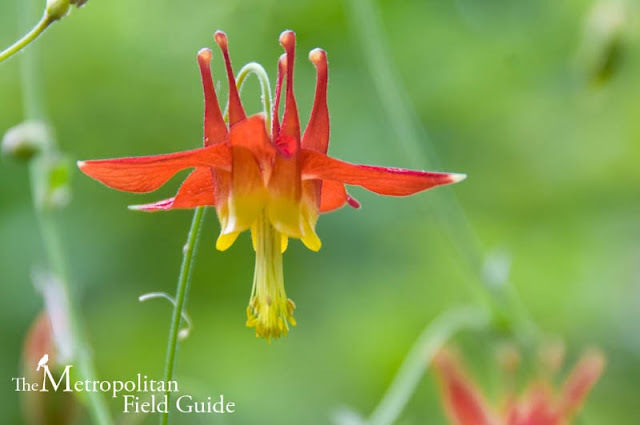 My final plant is the dainty Red Columbine with its lacy foliage and delicate, red and yellow flowers. It seems to soften the hard edge of buildings and the flowers are a favorite of hummingbirds. Naturally found in meadows and rocky outcrops, this flower is a perfect choice for a window box. Once the flower has gone to seed, small songbirds such as juncos and finches will eat them. Bumblebees and butterflies will also visit the flowers. Thank you to Kelly for this window box for pollinator concept garden.